If you want the easiest and most delicious summer meal ever then this is it! This dish takes no time at all and you'll be surprised by how much flavor it has. 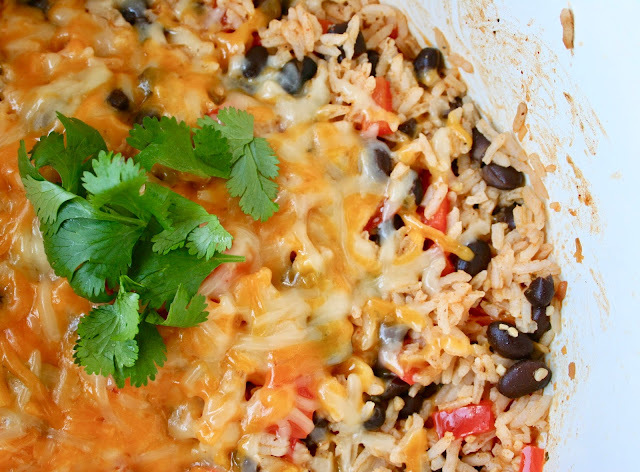 I don't know if it's the combination of enchilada sauces or what, but this dish is definitely a party! There's nothing better than a yummy Mexican dish where you don't have to roll even one tortilla. And that melted cheese on top?? It doesn't get any better than that. 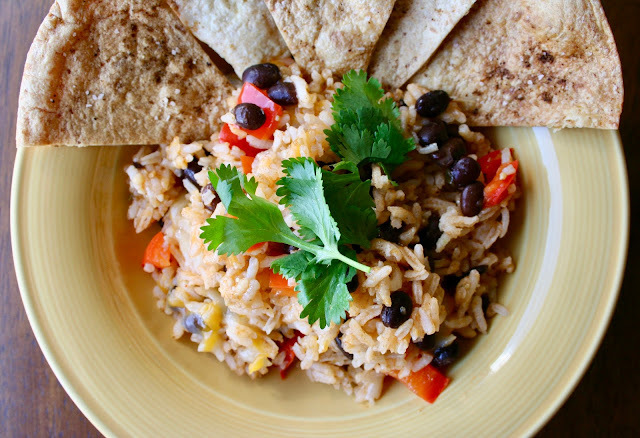 As you can tell, I'm slightly obsessed with this recipe and if you want a real winner, bake up your own tortilla chips to scoop up the rice with. It makes it that much better! 1. In a large saucepan (or rice cooker), cook rice and 1 1/2 cups water according to package directions; set aside. 2. Heat olive oil in a large skillet over medium-high heat. Add garlic, onion and bell pepper and cook, stirring frequently, until onions have become translucent, about 2-3 minutes. 3. Stir in rice, black beans, enchilada sauces, chili powder, cumin and oregano until well combined and heated through, about 2-3 minutes; season with salt and pepper, to taste. 4. Remove from heat and top with cheese. Cover until cheese has melted, about 2 minutes. 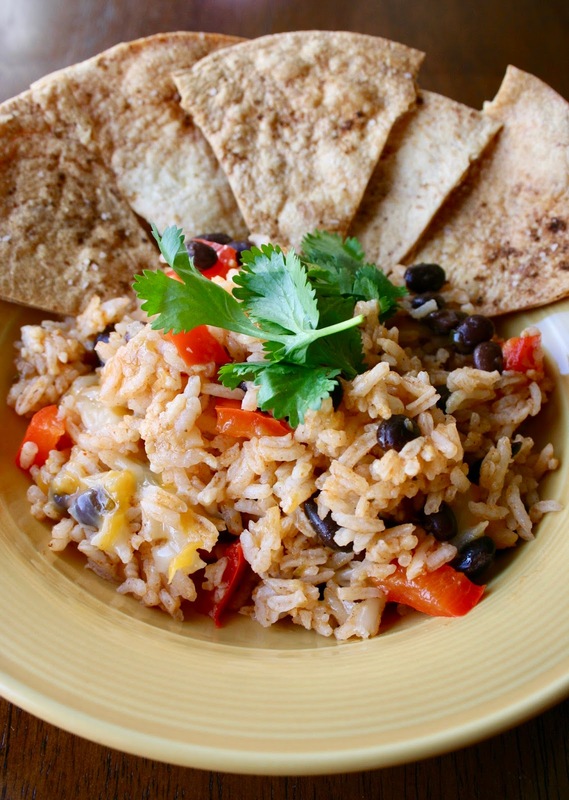 Garnish with cilantro and serve immediately with tortilla chips.